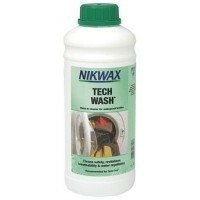 Nikwax Tech Wash is a wash-in cleaner for waterproof clothing and equipment. Safely revitalises breathability and water-repellency. A waterbased treatment that removes dirt and detergent residue leaving water-repellency intact.